When we first become believers, we still have a natural tendency to be self-centered, especially in how we pray. As a result, many Christians prayers that are more of a laundry list of ‘all about me ’ requests. Because God doesn ’t answer these kinds of prayer, we tend to give up on praying believing that God doesn ’t answer prayer. 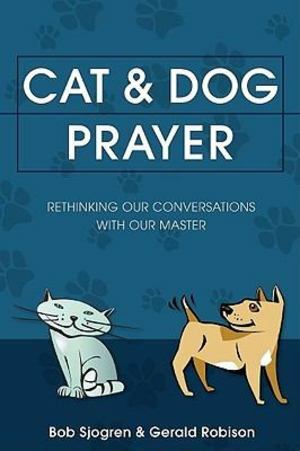 As a result, we end up checking in from time to time making sure he knows we ’re there and reminding him of our needs —hoping he ’ll do something about them.Cat and Dog Prayer will help move you from self-centered prayers to God-focused prayers. You ’ll learn how to pray, as the authors show: " How to pray prayers that God wants to answer " How you ’ve been given a "Blank Check" by God " The six reasons why God says "Wait," " The four reasons why God says "No," " How to pray "Cause Me Prayers" releasing the Holy Spirit completely in your life, and " How you need to be careful about what you pray about —because it can be the very thing that takes you away from God himself!This book will change the way you pray. It is a natural outflow of Cat and Dog Theology also written by Bob and Gerald.